Originally released in 1973, the Puma Clyde was named after basketball player Walt “Clyde” Frazier. 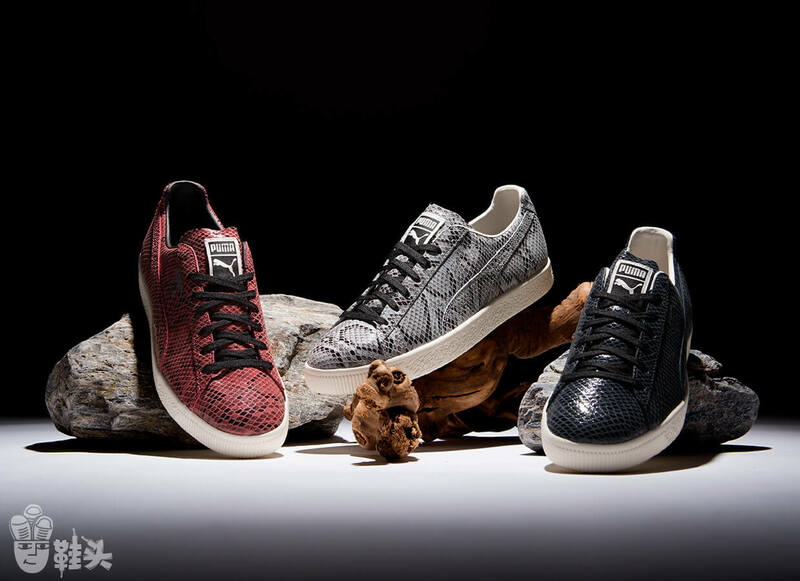 Although the first model was crafted with a soft suede upper, Puma is now releasing this classic in new never-seen-before materials, like this latest reptilian collection. 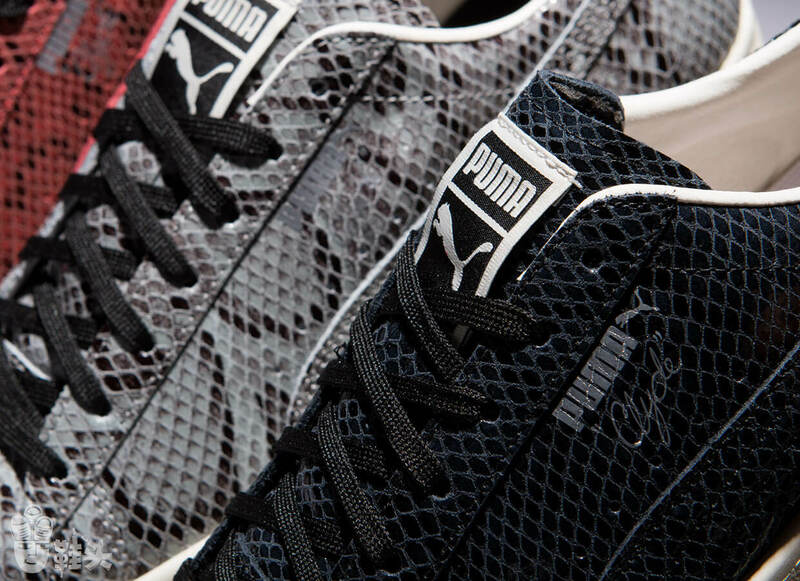 The Puma Clyde “Snake Pack” contains three models with an allover snakeskin pattern. Available in red, silver, or black, they also boast metallic silver lettering, black laces, and an off-white outsole.